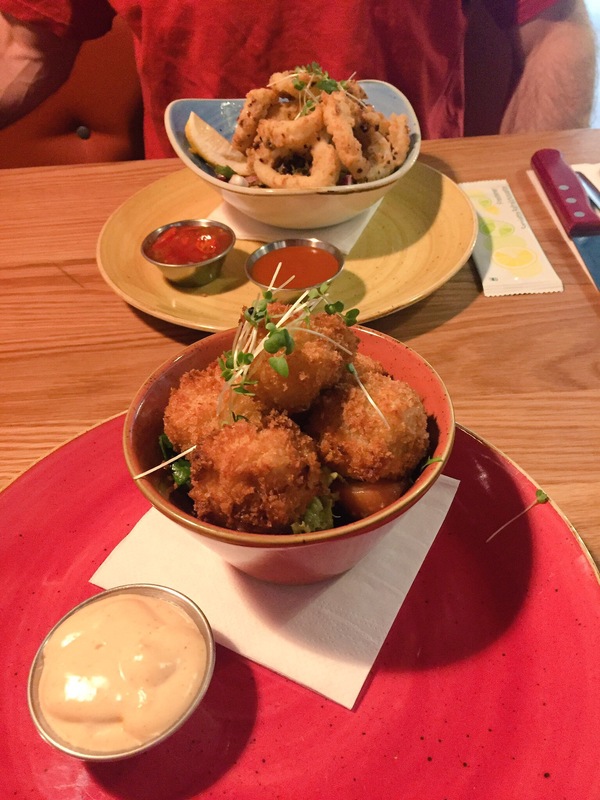 Last week we headed to Lisburn to try out a restaurant which has recently opened in the Omniplex. 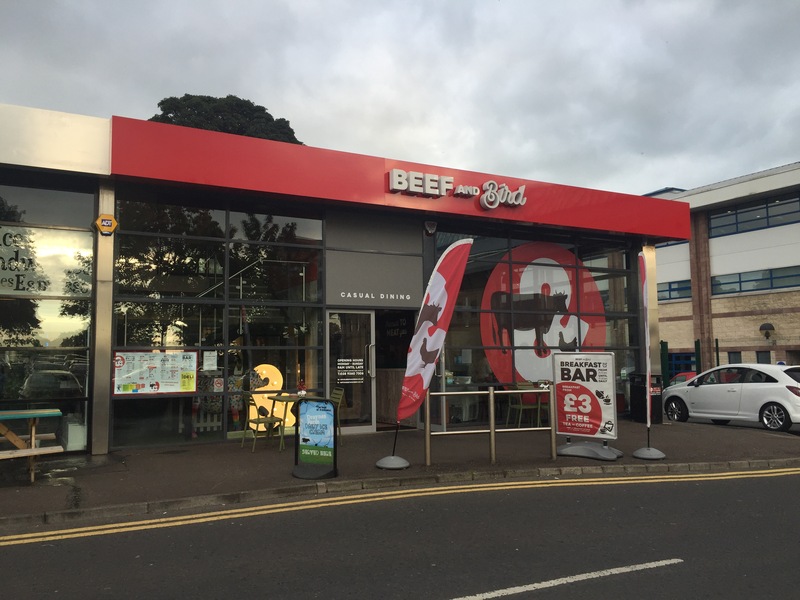 An area which is quite packed with restaurants and diners already, I was interested to see what would make Beef and Bird stand out from the pack. I had a quick peek at the menu beforehand so I knew it was an American style eatery, with burgers, Spicy Chicken Louisiana and Philly Cheese steak jumping out at me. We arrived on a Tuesday night and were shown to a private booth where our waitress introduced herself and told us she would be looking after us for the night. We decided to go for starters and mains and then see if we had any room left for dessert. For starter I was totally intrigued by one dish in particular- Chorizo mac ‘n’ cheese popcorn! I’m a massive fan of both chorizo and mac ‘n’ cheese so I didn’t take a second look. 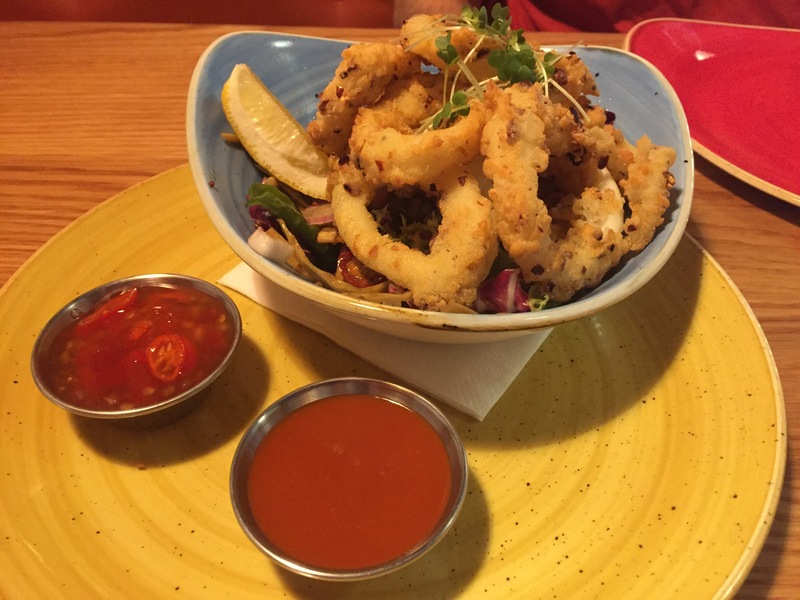 Barry went for Crispy Salt and Chilli Calamari. 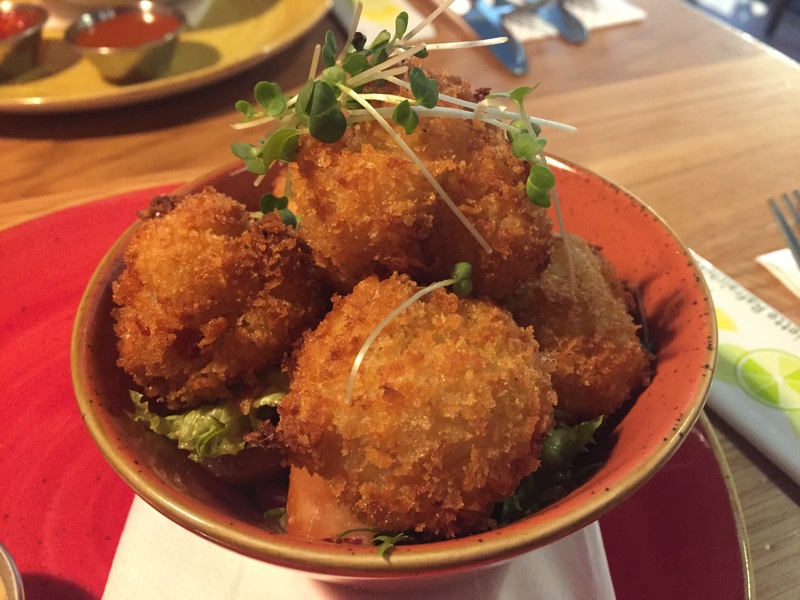 My starter was popcorn-shaped balls of deep fried mac n cheese with small pieces of chorizo inside. It came served on a bed of salad and a homemade dip. They were tasty, warm and cheesy and a good sized portion. Barry also enjoyed his calamari- as a fan of anything which is salt and chilli! 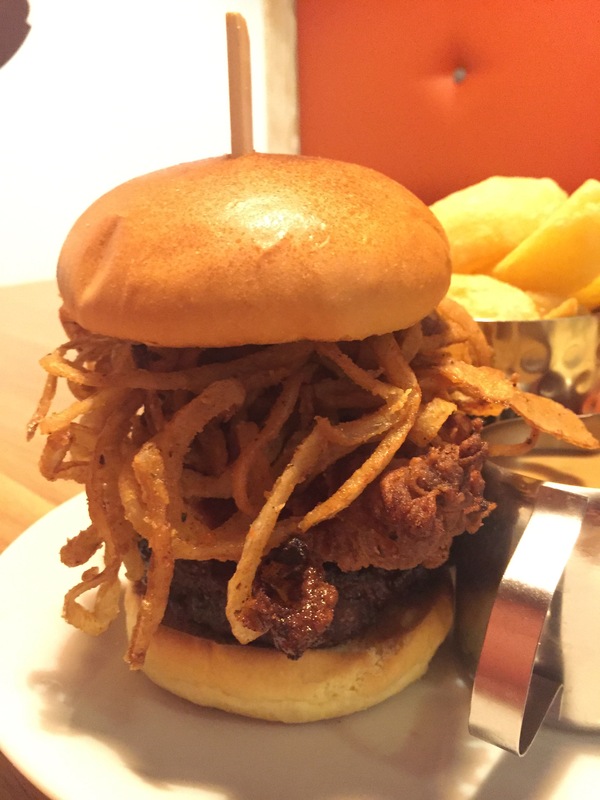 I chose the 6oz and thank goodness I did because it was massive – a burger topped with buttermilk fried chicken goujons and a huge amount of tobacco onions. In fact I didn’t even finish that burger never mind double the beef! The only thing I would say is that I felt the burger needed melted cheese or something similar as there was a lot of meat. 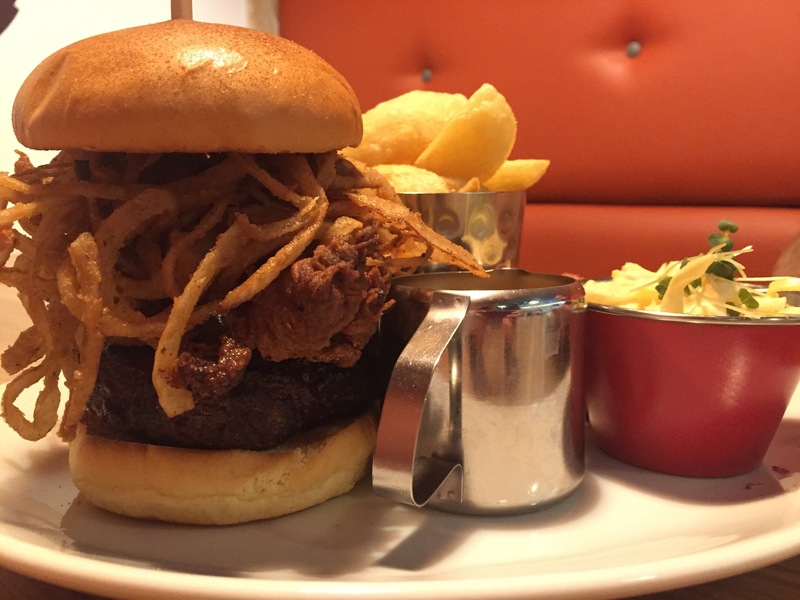 Barry selected the 12oz beef burger which came with tobacco onions, garlic mayo and rocket. Again, it was huge so make sure you come hungry! In the end we couldn’t eat desserts as it would just be greedy but the options include peanut butter cheesecake, lemon meringue pie and Belgium chocolate brownie. I would have gone for the brownie! 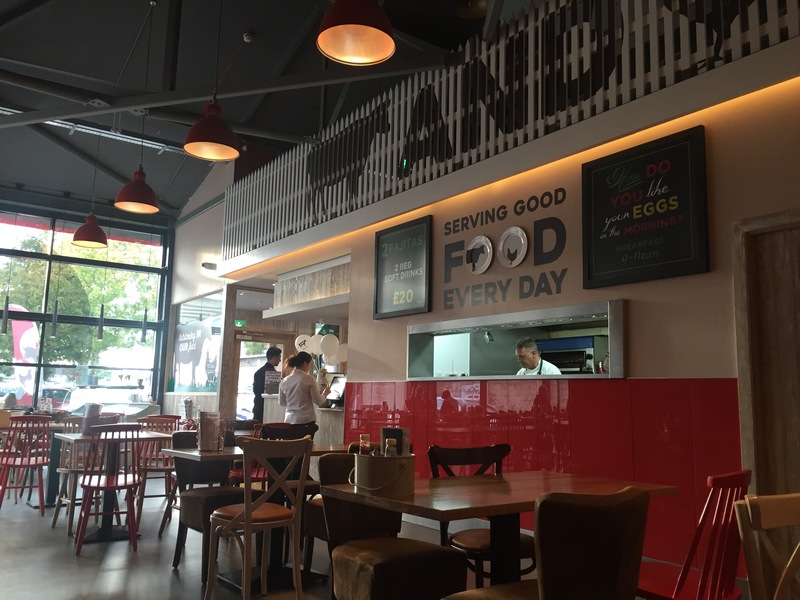 Beef and Bird is a relaxed and casual diner, which fits in well with the Omniplex for a quick, pre-cinema dinner!